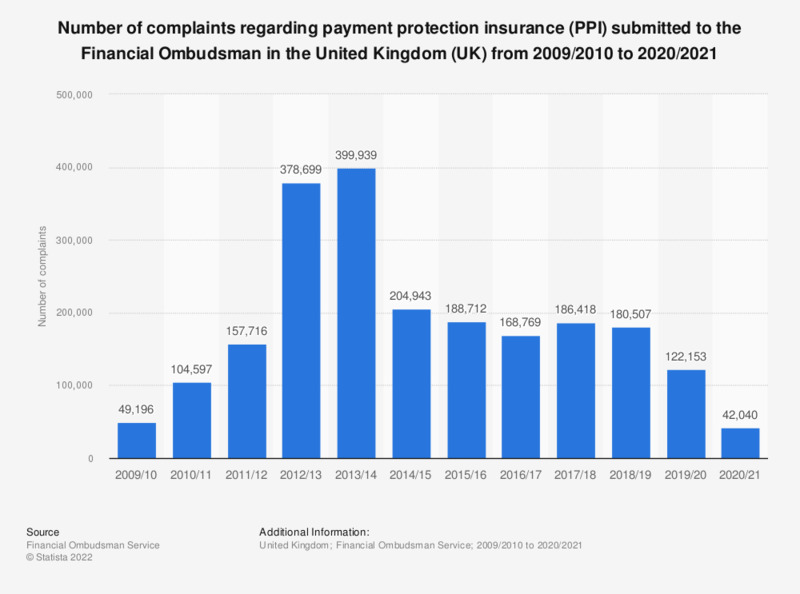 This statistic illustrates the number of complaints to the Financial Ombudsman regarding payment protection insurance (PPI) issues in the United Kingdom (UK) between 2009/2010 and 2017/2018. During this period, the volumes of new PPI-related complaints increased steadily with some fluctuation, raising from 49.2 thousand cases in 2010 to nearly 400 thousand cases in 2014. However, the number of complaints nearly halved in 2015 compared to the previous year and continued to fall in 2016 and 2017, reaching a total of around 168.8 thousand complaints. As of 2017/2018 the number of complaints against PPI increased once again to approximately 186.4 thousand complaints. Payment protection insurance (PPI) is also known as credit protection insurance or loan repayment insurance. This instrument enables to insure the repayment of loans even in the case of borrower's disability, illness or death. Hong Kong: Which of the following financial products do you currently have, on your own or jointly with others? Canada: Which of the financial products products do you own? United States: Which of the financial products do you own? Vietnam: Which of the financial products products do you own?